The interior landscape industry would certainly struggle without the endless variety offered by the Dracaena genus of tropical plant. Dracaenas are the staples of the industry. 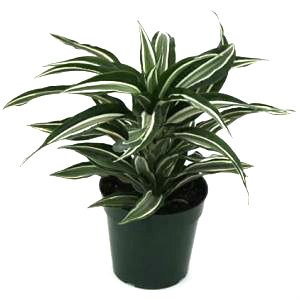 These plants are hardy, can tolerate a wide range of light and temperature levels and are pest and disease resistant. 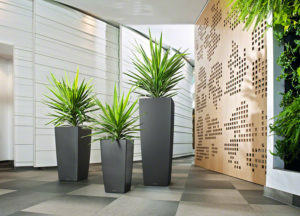 It is rare to see a plantscape design that doesn’t include a least a few varieties of Dracaena. They are available in so many forms and sizes, from small specimens suitable for mixed arrangements, to 8-10ft spectacular cane plants. Because of their popularity, growers are always trying to cultivate new and different varieties. We love it when there is a new plant to try. In recent years, several new varieties have been introduced. A few of our favourites are pictured below. The ‘Giganta’ is the most unique. See the picture above and the first image below. 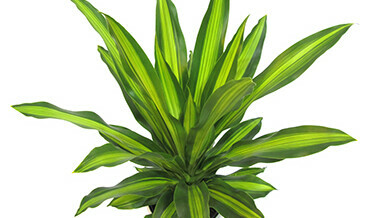 It has very similar colour to the popular ‘Mass Cane’ (Corn Plant, Dracaena massangeana) but the leaves are much thicker and more firm. Because of this they stay upright, similar to a Yucca leaf. The ‘Giganta’ is grown as a simple large single plant. It looks spectacular in a bold tall container. 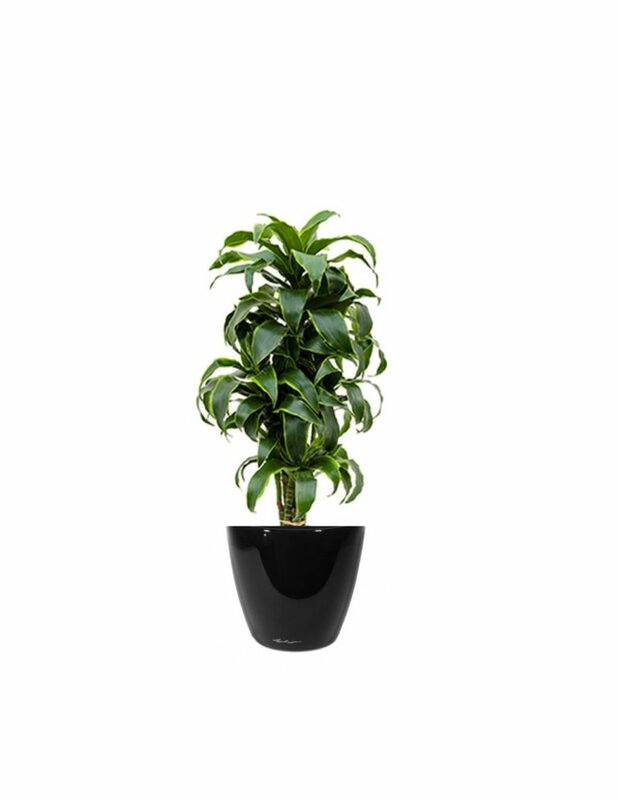 It is a slow growing Dracaena as well, a feature we love! (less pruning). As with all newly released tropical plants, it will take a few years of use as a tropical office plant to see if its a ‘keeper’. Occasionally a new variety of plant does not turn out to be suitable for use as an office plant. Another popular new variety is the ‘Lemon Surprise’. We like this one as a table-top plant. It shows best when placed on a low table to show off its unique twisting foliage. ‘Dorado’ is another recently introduced plant. It has wide, short leaves that also have a bit of a curl. The ‘Dorado’ is versatile; it is available as a table-top plant, single large plant suitable as a floor plant, and in a tall cane set. ‘Rikki’ has proven itself to be a great tropical office plant. We featured this plant in a recent blog. 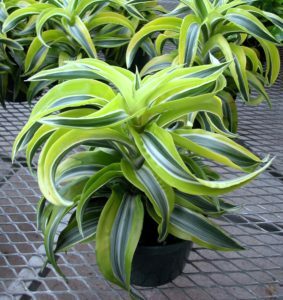 ‘Jade Jewel’ is a bold new Dracaena with very dark green leaves with prominent white stripes.